Best one day repairing service on bicycles at our Bicycle repair shop. Best one day Best one day repairing service on computers at our Computer repair shop. Best one day repairing service for Vacuum cleaner repair at our Vacuum cleaner repair shop. We can offer 24 hour repair service on computers at computer repair shop. We are located in Oshkosh We can do most repairs including mobile repairs & tune ups in local only . Our prices are lot less than other service shops charge for repairs we can offer same day repairs on all bicycles for flat tire repairs. we can offer 1-2 day repairs for these type of repairs. replacing broken or defective broken bicycle shifters cables & brake cables, replacing worn bicycle brake pads, replacing or adjusting brake calipers. replacing or adjusting v brake calipers, changing worn bicycle tires , Replacing or adjusting broken bicycle shifters or brake levers ,replacing or adjusting front and rear bicycle derailleurs , replace worn or rusty bicycle chains, replacing or adjusting defective bicycle headsets, replacing or adjusting worn bicycle crank sets , truing up or replacing bent bicycle rims. replacing or adjusting bottom bracket assemblies.We do have some computers and laptops in stock. Please click on computers and laptops repairs to see what we have in stock. We do have some vacuums and carpet cleaners in stock. Please click on vacuums and carpet cleaners repairs to see what we have in stock.we do vacuum cleaner repair and carpet cleaner repair We do have some bicycle tires in stock. Please click on bicycle tires for sale to see what we have in stock. We do have a some bicycle inner tubes in stock. Please click on bicycle inner tubes for sale to see what we have in stock .We do have a some bicycles in stock. Please click on bicycles for sale to see what we have in stock. We do have a some bicycle parts in stock. Please click on bicycle parts bicycle accessories to see what we have in stock. we can order any bicycle parts for any bicycle you need we don't have in stock . We offer FREE bicycle recycling WE OFFER FREE BIKE CURB SIDE PICK UP OR FREE DONATION BIKE DROP OFF we will buy your unwanted used bicycles. 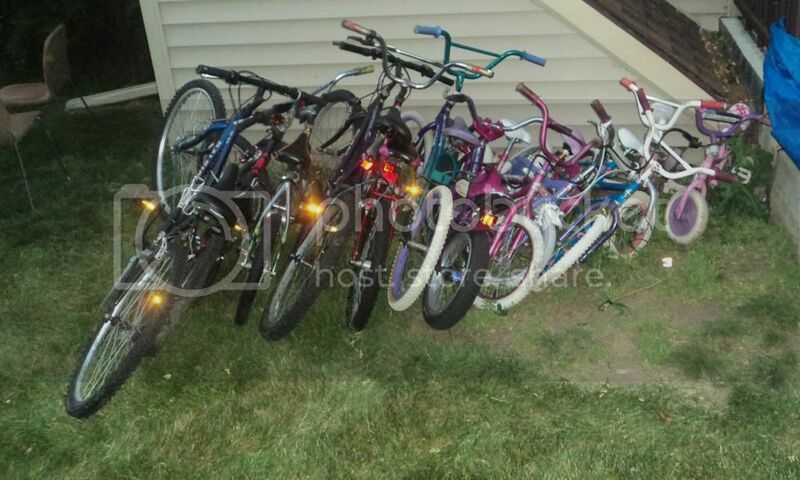 We can only pickup local don't donate your used bicycles we are faster than tax credits get paid for your used bicycles our hours we are are open are 11 am - 6:30pm &8:30pm-11pm pm sunday -thursday 11am -11pm friday -Saturday WE ARE at 2121 grove apartment 2 oshkosh wi for more information please call us 920-203-7886 or use contact form . fast 1 day service for vacuum cleaner repair at our vacuum repair shop . fast 1 day service for computer repair at our computer repair shop. fast 1 day bicycle repair at our bicycle repair shop.